A hospital in Japan has various medical imaging devices in its diagnostic and examination rooms, which provide the diagnostic data necessary for the effective treatment of the hospital’s patients. The data collected by these devices must be transmitted to a workstation for processing and analysis, and stored on the hospital’s servers. However, most of the devices output to non-standard imaging resolutions, requiring additional proprietary hardware for each device, adding considerably to the expense and complexity of the overall imaging system. In order to reduce such expenses, the hospital required an external video capture solution which could read all the video and images produced by the existing devices regardless of their resolution. A significant challenge in this situation is the fact that most medical imaging devices still use analog output. Non-standard analog signals are more complex to process than digital signals, and the unique timing of the signal must be taken into account. The hospital required a solution that could accommodate any of the very specific timing parameters of the currently used devices both analog and digital, while also being compatible with any devices purchased in the future. This solution needed to consist of a single device able to connect physically with all the hospital’s medical imaging equipment in order to capture SD, full HD, 3D video and images, and then transmit them at high speed to a workstation. AVerMedia applied its deep experience in video processing, hardware and software integration, and product customization to present a single device solution to meet the hospital’s needs. 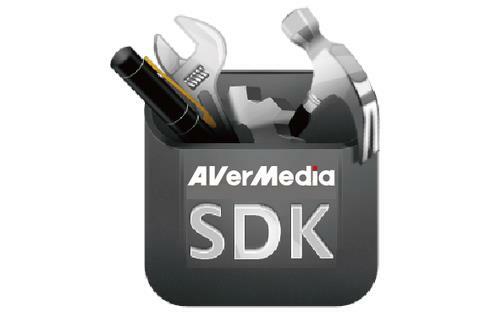 To determine the necessary system hardware requirements, AVerMedia engineers made on-site analysis of the diagnostic systems used in several hospitals. The CU511B USB 3.0 video Capture Box was installed in the hospital’s diagnostic rooms. Six different input interfaces (HDMI, DVI, VGA, S-video, Composite, and 3G-SDI) enabled the CU511B to connect physically to every one of the hospital’s imaging devices. 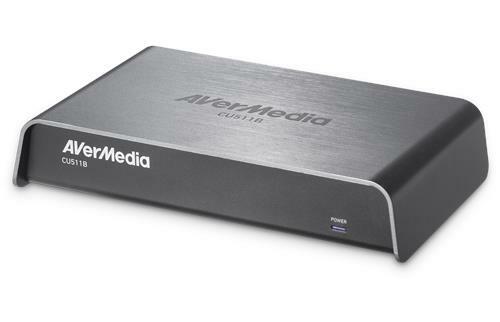 With 8-bit HD/SD video support, video resolution adjustment tool to modify the resolution (up to 1920 x 1200 @ 60 fps, with a video timing of up to 162 MHz), and a driver and SDK customized by AVerMedia engineers, the CU511B successfully captured all the video and images output from each device regardless of their native resolutions and output formats. Connecting each device directly to the CU511B enabled the hospital’s imaging devices to be centralized, reducing system complexity and the system’s physical footprint. The CU511B connected the high speed USB 3.0 port of the diagnostic room’s medical workstation, where data from it could be stored, analyzed, and uploaded to the Electronic Medical Record (EMR) of each patient, which is stored on the hospital’s main servers.